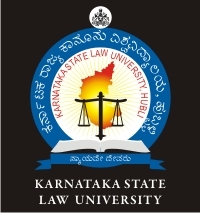 The Karnataka State Law University (http://www.kslu.ac.in/) is delighted to invite research articles from the young scholars across the nation for its Karnataka State Law University-Student Law Review second edition. The journal is solely dedicated to render a platform to the upcoming scholars to enhance their research skills and present their perspective on the given subject matter. For its second edition, the journal shall encompass articles in the field of “Energy, Mining, Environment and the Law”.